Top 10 Leading ODI Run-Scorers in 2017: 2017 has been a wonderful year for quite a few batsmen in ODIs. They have scored runs, won their teams matches, entertained the fans and enjoyed their batting whole-heartedly. Especially these days, with pitches getting flatter in most of the countries, batters are able to score consistently and at much better rates. If 2016 was all about poor form and controversy in wake of opting out of Bangladesh ODIs for Morgan, 2017 has so far been a year of redemption. 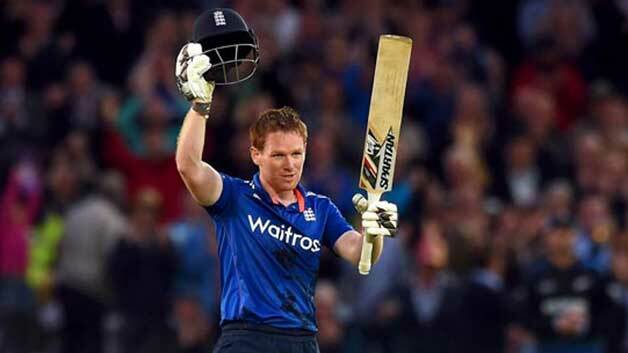 In recent few years, Morgan has been hot and cold with the bat in hand. There have been question marks over his place in the XI as well. But this year, the English limited-overs skipper has hit some form. He had a good time in India where he notched up scores of 28, 102 and 43. Then he followed it up with tons against West Indies and South Africa. Champions Trophy was also quite fruitful for the Irish-born batter as he scored half-centuries in winning causes against Bangladesh and Australia. Overall, the southpaw has 781 runs at 45.94 and a strike-rate of 98.73 so far, this year.